Taping for Sasuke 31 recently took place at the end of May, and already, it seems like Sasuke producer Inui Masato has finished editing Sasuke 31, making the competition ready for broadcast. So far, TBS hasn’t released any official dates for broadcast other than “July.” When we find out the exact date for the broadcast, we’ll be sure to let you know. TBS has updated their list of competitors for the 31st tournament, with pictures! So now there’s a visual reference of who’s who if you know faces better than names; take a look here and find your favorites! 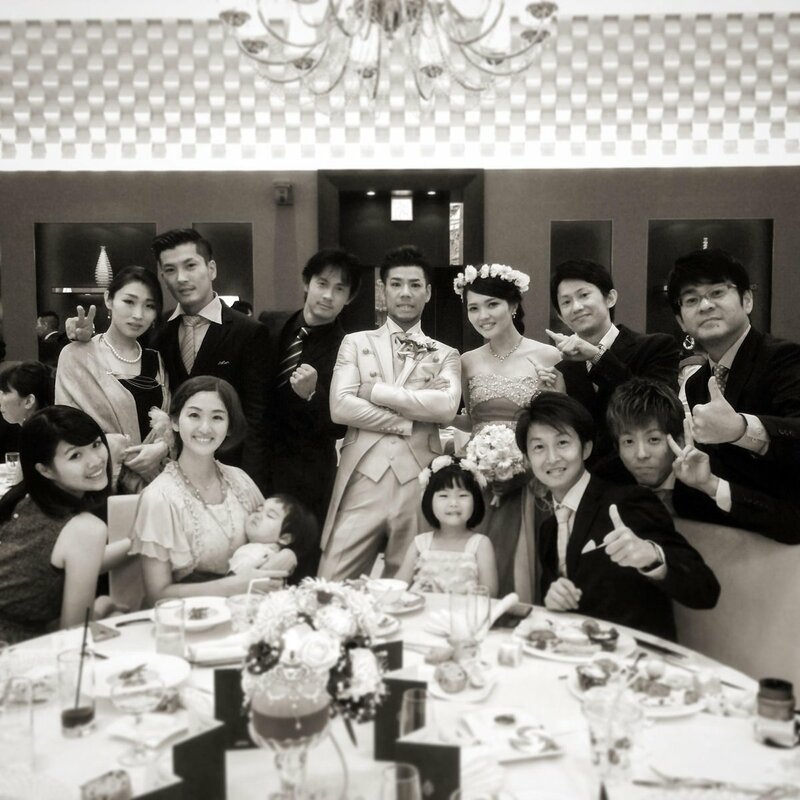 One of the regular Sasuke competitors, Asa Kazuma, has recently married his long time girlfriend Yuki; and it seems that the ceremony took place after Sasuke 31 proper. Also present are Yamamoto Shingo, Urushihara Yuuji, and Masato Inui, among others. During the taping of Sasuke 31 in late May, it would seem that a Saudi prince was present, along with other members of various foreign markets, all with an interest in picking up Sasuke as a potential new show in their respective countries. A few weeks later, it would seem the Saudi royal picked up the show and TBS will be assisting with the production of the show within the Kingdom. Following Arsenette’s return from Japan and the taping of Sasuke 31, 2D2Will and Arsenette released the second episode of the Final Stage Podcast, and discuss Arsenette’s trip to Japan, including but not limited to the Sasuke competition itself, as well as tourist-y things. Listen and then discuss in the Sasuke Maniac Forums. Also in fan-produced content, Arsenette also hosted her 2nd annual Sasuke panel at AnimeNext last night. Those of you that might’ve had the chance to go to AnimeNext or the panel know what happened, but for those of you that don’t, when we have the panel available for viewing, we’ll share that with you. Until then, join the discussion on the forums.